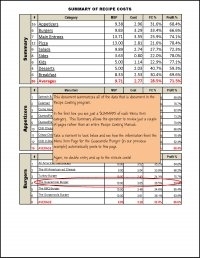 Imagine having a mini profit & loss statement at your fingertips each week! Now, you and your team will have the ability to react quickly & decisively, keeping your operating expenses at a lean and competitive level. 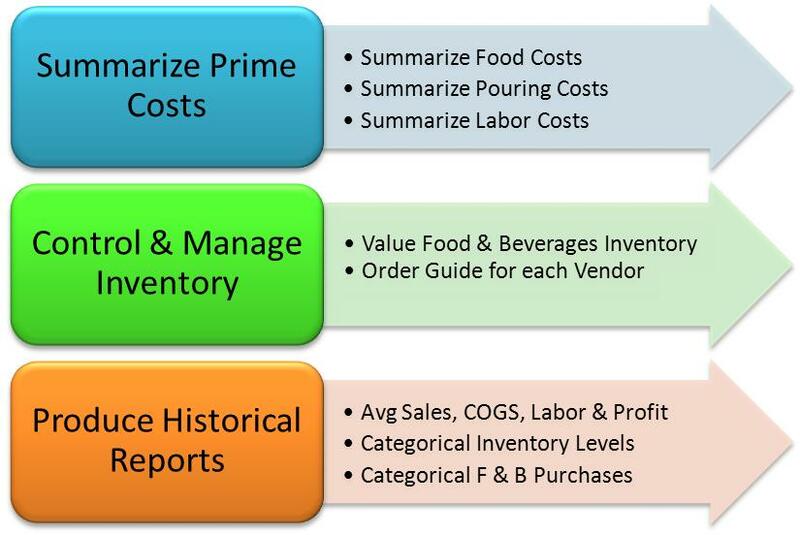 The FLASH REPORT efficiently summarizes food, pouring & labor costs to arrive at a Prime Cost figure. 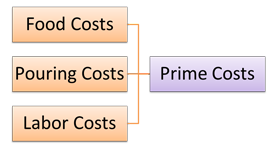 Prime costs are the major controllable costs every operator faces and can amount to 60% of revenue in a well-run, profitable operation. Now, with clear factual reports and qualitative and quantitative findings to guide improvements you can set new and realistic standards of performance! Click here if you would like to review more of the Flash Program and its components. This program is designed to be maintained by the operator. However, help is always available! 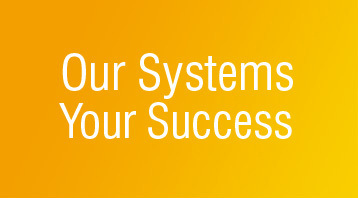 CCF&B offers the option of off-site program management & maintenance. Ongoing support & training is now offered! 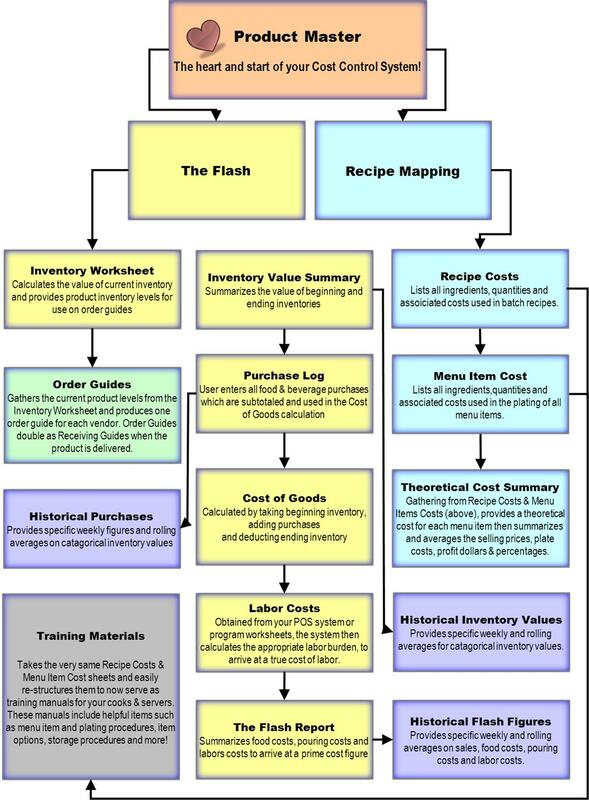 Now, using a process known as Recipe Mapping® you can document and cost your menu items (along with the recipes used to create them) and never have to cost them again! 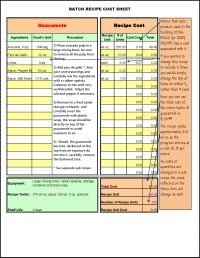 Recipe Cards reflect up-to-the-minute costs because they are linked to other data within the system. Changes in prices, portion sizes, or even recipe ingredients, are reflected automatically throughout the system. 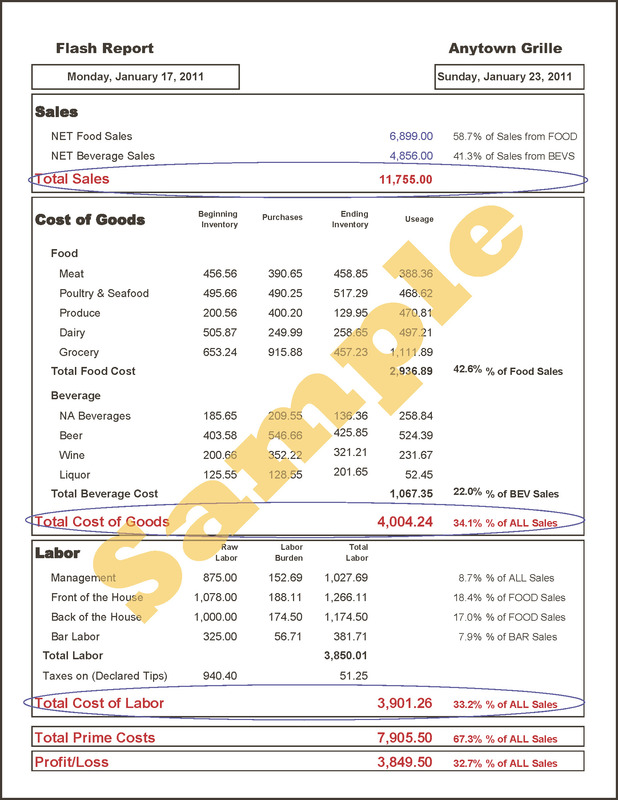 The Recipe Mapping® portion of the program also allows you to see the Profit Margin on each menu item and summarizes that data for each menu category. Recipe Mapping® also allows you to quickly determine how price & cost fluctuations will affect each recipe and therefore, your bottom line. Take a look at the samples shown here. 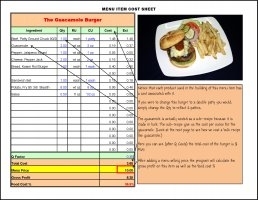 In the first sample, notice how the recipe for Guacamole is created and then used in the Guacamole Burger. (Click on each image to view full size). After all of your menu items have been mapped, the system will produce a Cost Summary showing all of your menu items, their current selling price, cost, profit margin and more. (Click sample on left). Once Recipe Mapping® is in place the operator can precisely calculate how much he should have spent and compare it with actual food costs. (Click sample on right). 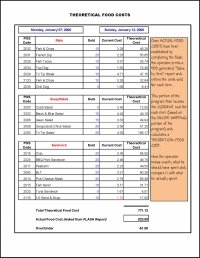 Now you have a real bench mark for food costs and not just a vague industry standard! One of the most exciting aspects of our Flash & Recipe Programs is that they work together seamlessly. If you took time to look at the Flash Samples you will remember that the Product Master is the “heart and the start” of our entire program. Take a moment to review the flowchart below. It details how the Flash Report & Recipe Mapping® Programs work together and even provide you with current training materials! Keeping up-to-date with bookkeeping can be a cumbersome administrative job that often becomes a burden for most operators. Many restaurateurs rely on outside personnel with little to no experience in the hospitality industry. Central Coast Food & Beverage can create and maintain restaurant specific systems to ensure the smooth and successful functioning of your back office. CCF&B will create and customize a QuickBooks accounting file which is based on industry best practices and uses a restaurant specific chart of accounts. CCF&B is able to provide the operator with the turn-key file, preliminary training and a customized instruction manual.